Princess Adriana is about to leave the Kingdom of Ayrden on the Journey of her sixteenth year. If she is ever to ascend to the throne, Adriana must go—alone and unarmed—into the unknown. She’s been trained and gifted for the Journey her entire life, just like all the royals who preceded her—even the ones who never returned. Adriana leaves Ayrden on Sultan, the black stallion gifted to her by her brother just the day before at her birthday celebration. With bravery in her heart and hopes for a quick return, she soon encounters three paths: one of grass, one of gold, and one of gemstones. She chooses the pragmatic path of grass. Although it seems safe, and the landscape familiar, she quickly finds that she will have to overcome nearly impossible challenges. Ultimately, an unexpected friendship changes not only Adriana, but the very kingdom she someday hopes to rule. The question is, will the friendship turn into everlasting love? A debut YA fantasy stars a princess who must venture forth into the world before she’s allowed to rule. Princess Adriana of Ayrden has just turned 16. Traditionally, royals of the kingdom leave on a Journey during their 16th year, and if they return, they may someday rule. Adriana’s Teachers—in skills like fencing and archery—say that she’s ready to leave, but she may take only a minimum of food and no weapons. The royal Gifters, however, bestow upon her the traits of courage, fidelity, and kindness. With these qualities, along with her father’s advice that “when you are worried you will not make your best decisions,” she departs Ayrden on a horse named Sultan. She rides until reaching a clearing in the nearby forest. Strangely, no animals, including birds, enliven the scene. After a nap, she wakes to the sound of woodland calamity, as trees uproot and shift, eventually presenting her with three paths to choose from: one lined with gemstones, one limned in golden light, and another marked by simple grass. For the sake of Sultan, Adriana takes the prosaic grassy trail and finds herself in the land of Chehalem, where odd new friends and foes await. In her novel, Stump crafts a voluptuous, nuanced fantasy that fans of classics like Peter Beagle’s The Last Unicorn should enjoy. As Adriana explores each of the three routes, readers are treated to gorgeous sights and inventive sounds, like one scene in which “The walls of the ravine were green stone, and bright violet and amethyst flowers spilled down the steep embankments until they touched the water.” The prose nearly lulls a reader into believing Adriana’s Journey is all whimsy and self-discovery, yet dangers crop up (including lost uncles, slave traders, and dragons) that add grim shading to this multifaceted narrative. 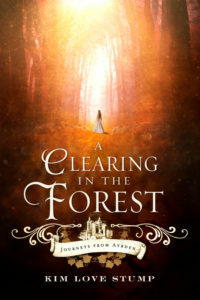 Certain magical elements, like how the forest changes shape, remain mysterious throughout, which allows Stump’s capable heroine and her accomplishments to carry more narrative weight. Spellbinding and untraditional, this fantasy with a brave royal could teach Disney a few things about princess adventures. 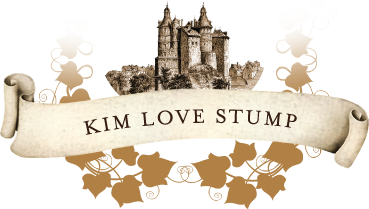 Kim Love Stump’s A Clearing in the Forest is an utterly engaging, fascinating page-turner of a book. Princess Adriana, the main character, is smart, kind, courageous, and so easy to identify with as she travels through three foreign kingdoms on her own, with little but her wits and her brother’s gift—his loyal horse Sultan—to see her through the harrowing adventures that greet her on her Journey—one that is required of every royal descendent of Ayrden during their sixteenth year if they don’t wish to give up any claim to the throne. 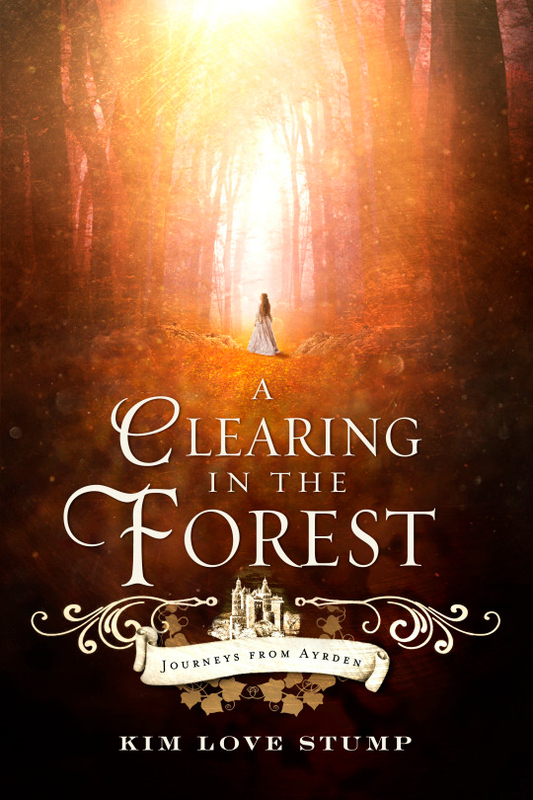 Journeys from Aryden’s first installment, A Clearing in the Forest, is a triumph! An amazing book full of everything I love about fantasy but also grounded in everything true about growing up, overcoming fears, finding your place in your family, good triumphing over evil, and finding true love. I devoured the book in one day, I could NOT put it down! The journey Adriana embarks upon forces her to hone her skills and overcome her weaknesses, all preparing her for her final stop of the journey. There, the dragon Zimley and his minions give epic breadth to Adriana’s journey as she seeks to right wrongs perpetuated for centuries. The imaginative force Kim Love Stump put into this first novel is evident on every page. The chimangas of Beryllios bring the dancing light of a kaleidoscope to a personally spun garment made for dancing and music making. The secret note left by Adriana’s housemaid in the heart’s corner teases the reader to revelations in future books and a lovely tradition of a lost people. The flotande teases out the truth in critical moments… the list goes on! Hardcover, Paperback, Kindle and iBook All Available Now!